So I had a gym workout this morning. I’m struggling through a set of TRX rows when a heavily inked but nicely ripped young man plops down in front of me. He starts in on his exercise of choice which happened to be glute bridges off a stability ball. He’s wearing running shorts. Exceedingly short shorts. So short that….well…um…let’s just say it was quite noticiable that the junk in his trunk was not properly contained. Seriously bad fashion etiquette for the gym, in my humble opinion. Look away I mutter sottovoce as I hurry through the last two reps.
Look away also seemed to be the word of the day last week when looking at houses. Yes. You read that correctly. It’s just a preliminary thing, but we’re looking at houses, on-line and driving around town with an agent. And for inquiring minds, yes…. the Middle-earth house is still on the market. We’re going on 21 months now. 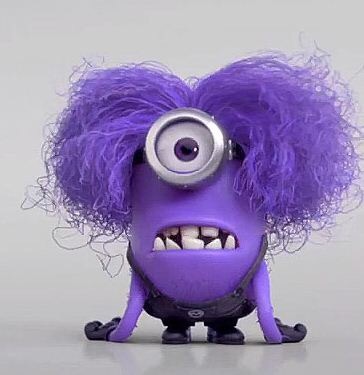 Excuse me for thirty seconds while I have my own little purple minion moment (with a few expletives thrown in….sorry mamma) as we contemplate TWO mortgages and peanut butter sandwiches for an indeterminate number of days… or God forbid months. AACK! My Purple Minion moment; usually lasts 30 seconds and includes expletives. Sorry Mamma! …..Okay. I’m back. My “this too shall pass” mantra brings me down from the ledge. So, looking at houses on-line can be fun (really) especially if wine is involved. I know what you’re thinking: We must be terribly bored if we can find it entertaining to look at how people decorate and configure their homes! But we enjoyed some good laughs. Rocket-man and I were on glass number three just the other evening as we scrolled through images of houses that met our search criteria. Wild wall-paper was the least of the decorating faux-pas we viewed. True is the adage different strokes for different folks. Through oohs, ahhs and mock horrified gasps we giggled and dissolved into full-out belly laughs as we worked through a number of listings. “Here’s one that looks promising, I say with renewed seriousness. “I like that the kitchen has a gas cooktop.” Rocket-man agrees but he’s starting to yawn. We’ve been at this for over an hour. I can see his eyes are getting heavy and I am on the verge of losing him to the bed in just a few more blinks. I hurry and scroll through the kitchen photos…then the master bedroom, hallways, the bathrooms, and…. “Wait a minute. Go back one,” says now-awake Rocket-man. I go back one photo. “Hmm. Yes, it’s weird that the washer and dryer are in the bathroom,” I say. “Look closer,” Rocket-man says with a grin. “What?! Well that is different,” I say, with obvious disapproval in my voice. Rocket-man sits back in the chair, eyes to the ceiling, his hands cradling the back of his neck. I can see the wheels are turning in his head. We are not buying a house with a urinal in the bathroom! 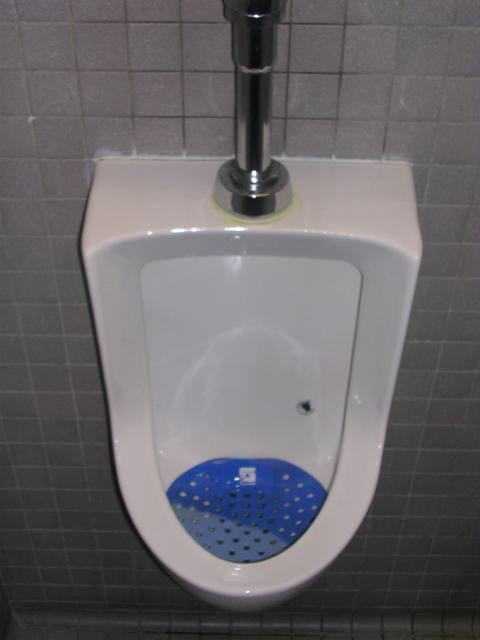 Urinals belong in public bathrooms, not my house! I think I am done for the night. Explete away! I know all too well the stress of a house for sale that is lovely by all practical accounts, in a decent neighborhood and that languishes For Sale FOREVER. Still keeping my fingers crossed a sale will be forthcoming. I mean, kids will be getting ready to go back to school so a summer sale is usually a gimme. Good luck.